This smallest of organs looms large when it comes to digesting burgers, so we made it bigger (it's about the size of a lemon in real life)! 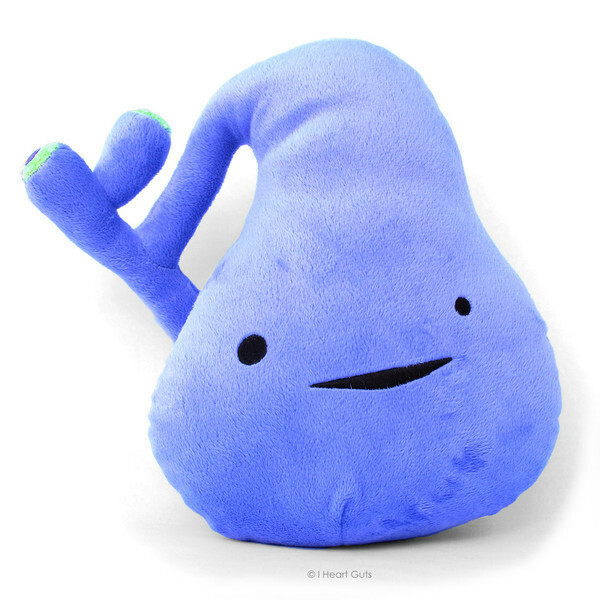 This gargantuan gallbladder is a ginormous 7.5" x 8.5" super-soft high quality embroidered plush. The gallbladder collects & concentrates bile, a substance made by the liver and used to digest fats --like that ice cream you had last night. An informative educational booklet hangtag tells you more about your biliary buddy. Safe for all ages, this plush comes packed inside a biodegradable plastic sleeve. Designed in California, made in China.